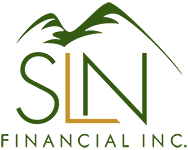 August 23, 2017 - Financial Tips for Caregivers of Parents and Children | SLN Financial, Inc. Serving as a caregiver for your parents and children is a hefty responsibility that can impact many areas of your life. As a “sandwich generation” member, you are supporting aging parents—who may be ill, unable to be financial independent, or otherwise—while raising your own younger children. As a result, successfully managing your own financial life and helping aging parents can be a delicate balancing act. A study revealed that 32% of investors in the sandwich generation provide financial support to parents, adult children, or both of them. And for families that financially support aging parents, one-third of them pay at least $5,000 each year. As such, having realistic discussions about finances with parents can be challenging for many adults. Often, families prefer discussing immediate financial needs over complex or uncomfortable topics. Yet, opening up conversations about finances is incredibly important for both the caregiver and the parent needing care. Not only must you assess your parent’s financial standing—you may also be contributing your own finances to the care equation. You can help everyone responsibly care for their wellness and needs by talking candidly about financial topics. As you do, explore details such as their insurance coverage and where they store information about their financial accounts. The earlier you have these discussions, the better you can guide responsible decision-making before it becomes too challenging for an aging parent to address, health-wise. A study revealed that 61% of investors in the sandwich generation feel that financially supporting family members affects their abilities to save for retirement. With retirement costs escalating, preparing for your own financial future is essential. And having a strong financial standing could be challenging without strategic preparations. In fact, only 28% of caregivers in the sandwich generation state they are living comfortably. If you’re a female, you may have an even more challenging time saving. Women who leave the labor force early to serve as a caregiver can lose roughly $324,044 in combined wages, Social Security benefits, and pensions over the course of their lives—compared to $283,176 for men. Your financial comfort today affects your life tomorrow—don’t overlook prioritizing your own retirement savings strategies. In America, a whopping 43 million caregivers are unpaid, most of whom are over 50 years old. Of those financially supporting parents, 22% of them have had to use money from their savings. If you find yourself in this situation, you may qualify for compensation programs to help you financially. In some states, Medicaid’s participant-directed service programs can provide some financial compensation for family members serving as caregivers. If your parent is a veteran and would otherwise be in a nursing home, you may also qualify for assistance. Check with the Department of Veterans Affairs’ program, Veteran-Directed Home and Community Based Services for more details. Other programs may exist, and a financial professional can help identify which ones you may qualify for. The unique caregiving needs of your family will drive the best financial strategies for you to pursue. Details such as the state of your parent’s health and how much healthcare and retirement savings they have to help them will create various effects on your financial standing. If you would like to talk through options to consider and ways to improve your financial life as a caregiver, we’re more than happy to help. Contact us today.